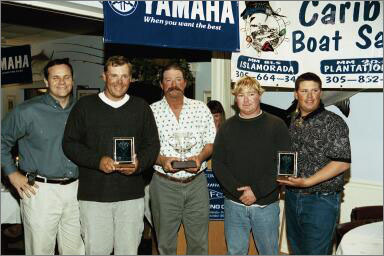 27 Anglers competed in the 2003 Gold Cup for the Championship Ring! 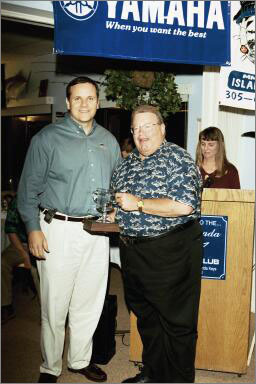 These anglers made up of thirteen team entries that all competed for Gold Cup team trophies including the perpetual team trophy displayed at the Islamorada Fishing Club. Mr. D's Island Design of Islamorada once again sponsored the Championship Gold Cup Ring. Pursuit Boats and Caribee Boat Sales joined the Gold Cup sponsorship list this year to make this event the best ever. 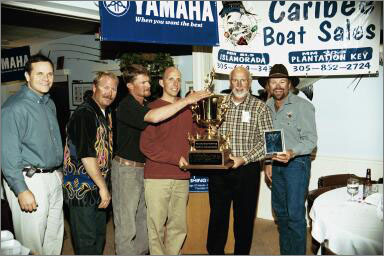 All money raised in the Florida Keys Gold Cup Sailfish Championship benefits the Islamorada Charter Boat Association. 118 Sailfish were released over the three events.